Sony Pictures Home Entertainment and Warner Home Video pushed further into 3D at home on Nov. 16, 2010, with the release of a bunch of catalog movies. The same day, Warner also delivered the first film on Blu-ray 3D the same day it bowed on DVD and regular Blu-ray , Cats & Dogs: The Revenge of Kitty Galore. Fans of Blu-ray 3D got seven new titles to enjoy on Nov. 16, 2010. As well as Cats & Dogs: The Revenge of Kitty Galore, Warner released library films Clash of the Titans, The Polar Express and three IMAX movies — IMAX Deep Sea 3D, IMAX Under the Sea 3D and IMAX Space Station 3D — all on Blu-ray 3D priced at $44.95 each. 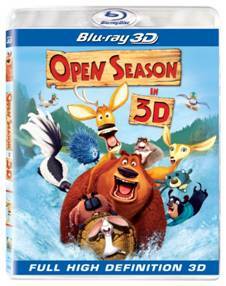 The same day, Sony delivered animated family movie Open Season on Blu-ray 3D priced at $39.95. 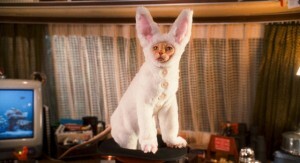 Cats & Dogs: The Revenge of Kitty Galore and Clash of the Titans were the industry’s first Blu-ray 3D Combo Pack releases, including both 3D and 2D versions of the movies on the Blu-ray disc, a DVD and a downloadable digital copy of the film. The Polar Express and IMAX films also include both the 3D and 2D versions of the films on a Blu-ray disc, and those discs are playable in both 3D-capable Blu-ray players and regular Blu-ray players, with the latter only playing the 2D. Although The Polar Express was previously released in anaglyph 3D, the Blu-ray 3D version is in stereoscopic full HD 3D, along with all the other titles. The IMAX films have already been available in bundles with Blu-ray 3D players and TV sets. and “I Want to Lose Control” music video by Deathray. To play Blu-ray 3D, viewers need a Blu-ray 3D-capable player and 3D TV. Only 2D versions on the Blu-ray disc will be playable on a regular Blu-ray player. The 3D used is stereoscopic, the same as the 3D shown in theaters, not anaglyph, which requires the blue/red glasses. Stereoscopic 3D still requires glasses, but they’re the active shutter kind that block and unblock each eye in sequence to control what each eye sees. The glasses are battery powered and either bundled with a 3D TV or sold separately. Warner says all of its Blu-ray 3D titles include a graphic on the back of the box explaining how 3D works. Following its aggressive stance when DVD and then Blu-ray were introduced, Warner is doing the same with Blu-ray 3D. Clash of the Titans, the Greek myth remake starring Sam Worthington (Avatar) as Perseus, Ralph Fiennes (Harry Potter franchise) as Hades and Liam Neeson (Taken) as Zeus, grossed $164 million when it was released in theaters earlier this year. The movie bowed on DVD and Blu-ray in July. 2004’s animated The Polar Express, based on the picture book by Chris Van Allsburg , stars Tom Hanks in multiple roles. The movie grossed more than $180 million in the theaters, with re-releases. Prior to Open Season, Sony released animated movies Cloudy With a Chance of Meatballs and Monster House on Blu-ray 3D.